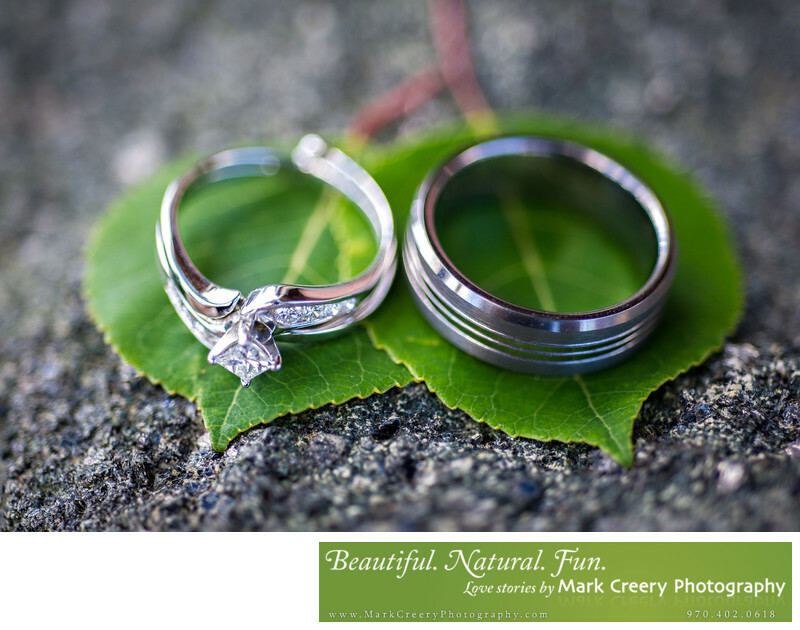 This photo of the wedding rings on top of two aspen leaves is a fun detail shot that connect with the area. Although the town of Aspen is synonymous with luxury, there are plenty of outdoor wedding locations that are more true to Colorado roots and what couples are looking for in their photography. There are ski slopes, high mountain passes, and even a ghost town that all make for a unique Aspen wedding story. Some of the classic venues in town include the T Lazy 7 Lodge, Roaring Fork Club, The Little Nell, St. Regis Aspen Resort, Pine Creek Cookhouse, Hotel Jerome, the Inn at Aspen, Aspen Meadows Resort, The Gant, The Residence Hotel, The Wedding Deck and Sundeck at Aspen Mountain, and some venues in Snowmass Village. Get in touch to find out more about my wedding packages for Aspen.